Size of this PNG preview of this SVG file: 400 × 425 pixels. Other resolution: 226 × 240 pixels. 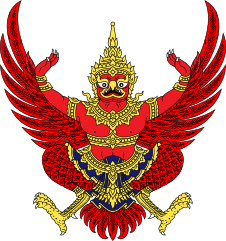 Description: National Emblem of Thailand, depicting a dancing Garuda with outstretched wings. 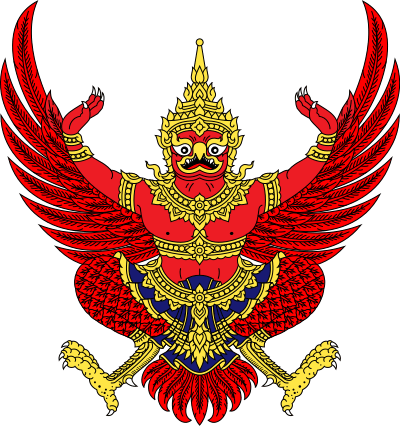 The Garuda symbolizes the government and people of Thailand, as Lord Vishnu symbolizes King of Thailand. This page was last modified on 21 February 2017, at 11:28.